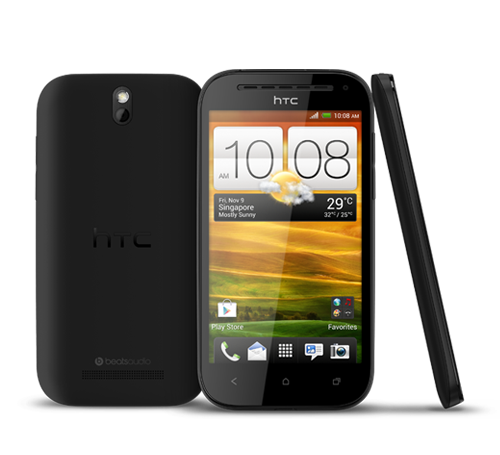 It's not just HTC's latest and greatest that's getting some update love these days. 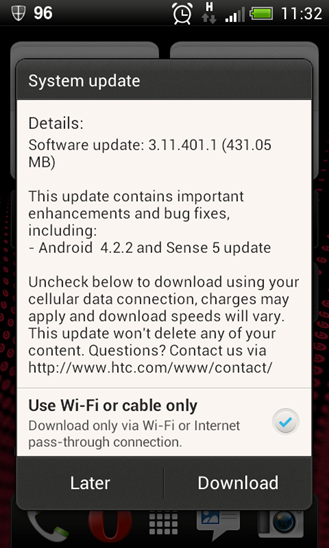 The international HTC One SV is finally getting that rumored update to Android 4.2.2, and it's packing Sense 5.0. It's not a small update, so make sure you've got some WiFi handy. The OTA will be a nice improvement for users, who have been making do with Android 4.1.2 and Sense 4. The update (version 3.11.401.1) is a hefty 431.05MB and includes various bug fixes in addition to the OS version bump. This update is rolling out to devices across Europe right now, but should be hitting everyone with the international model before long. The first devices just received the notification today, so be patient. Or start mashing the update button. Either way.